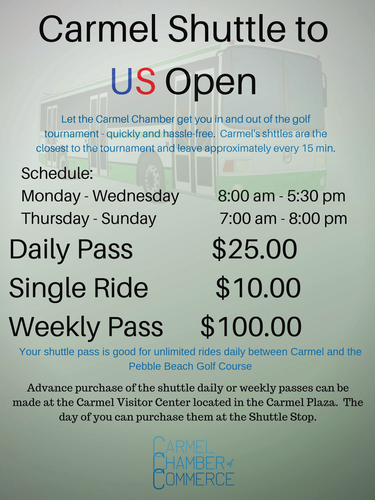 Daily pass $25.00, Good all day for unlimited rides between Carmel and Pebble Beach. Shuttles leave approximately every 15 minutes. Catch the Shuttle in Carmel on South Ocean Avenue between Junipero and Mission Streets. In front of the Carmel Plaza shopping center.